The National Company Law Tribunal (NCLT)-Ahmedabad on Thursday rejected debt-laden Essar Steel India’s (ESIL’s) operational creditors (OCs) plea against ArcelorMittal’s Rs 42,000-crore bid. It is seeking consideration of promoters Essar Steel Asia Holding’s (ESAHL’s) Rs 54,000-crore proposal. Around eight OCs, including Orissa Stevedores, Signode India, and Timken India, among others, had filed a plea seeking quashing of Arcelor’s resolution plan and consideration of ESAHL’s proposal. However, in a common order, the two-member Bench, comprising adjudicating authorities Harihar Prakash Chaturvedi and Manorama Kumari, rejected the same. Led by the State Bank of India, the committee of creditors had approved Arcelor’s plan in October 2018 and placed it before the tribunal for approval. However, soon after, Essar Steel’s promoter Ruias had made a settlement offer of Rs 54,000 crore through ESAHL. While ESAHL’s offer looked to pay OCs in full, Arcelor’s plan carries a condition that OCs with dues of more than Rs 1 crore each would not get anything according to ESIL’s liquidation value. OCs with less than Rs 1 crore dues will be paid in full, amounting to a total of over Rs 190 crore under the Rs 42,000-crore bid of Arcelor. “We have rejected the plea by the OCs (eight of them) and disposing off the applications. Principal observations would be available in the detailed order following later,” the tribunal said in an oral order. 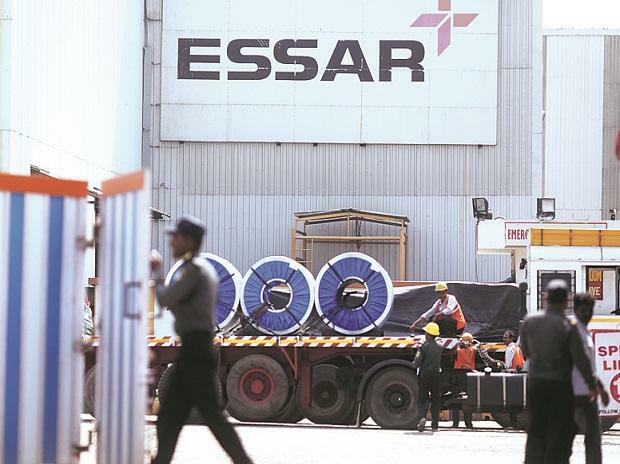 The order comes on a day when the National Company Law Appellate Tribunal directed the NCLT to pass order in the Essar Steel case by March 8, after which the appellate tribunal would hear the matter from March 14 onwards. It needs to be mentioned here that while the Insolvency and Bankruptcy Code (IBC) provides for resolution within 270 days, after which a company has to be liquidated, litigation in the Essar Steel case has led to the process prolong for over 580 days now. Part of the first list of a dozen defaulters against whom the Reserve Bank of India had asked lenders to initiate proceedings under the IBC, Essar Steel has seen ArcelorMittal making a takeover bid of Rs 42,000 crore, which has been approved by the former’s lenders.